Last week the mailman brought — to my greatest delight — the latest Spanner Editions production: Proposals 1-35 by Allen Fisher. This is a gorgeously produced full color sequence of “poem-image-commentary” ensembles. 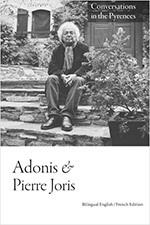 Not sure what is the best way to acquire this little marvel, but you can always write to Spanner editions at 14 Hopton Road, Hereford HR1 1BE, U.K.
Below, a video of AF reading from this sequence of poems. You can see a few more in the online magazine Spine. Hopefully AF will read from the sequence on Saturday at Bowery Poetry Club (see yesterday’s post for details). 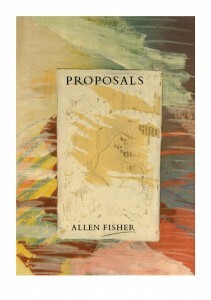 Saw Fisher at Miami (Ohio) last night–a great performance of some of the Proposals. Unfortunately I missed the lecture that preceded it. I thought you might like to know that Glenn Storhaug of Five Seasons Press (also based in Hereford, UK) has produced a beautiful “broadsheet” edition of Proposals 6. Check out the Five Seasons Press website for details.